When conducting a due diligence on a potential carwash site, the objectives are to assess the level of difficulty for approval, ascertain the approximate time frames required and estimate the chances for success in obtaining approval to build a carwash on the location. In order to make that assessment, it is helpful to understand who the competing interest groups concerned with a carwash being built are, the specific areas of concern that need to be addressed and what the approval process will entail. Unfortunately, the various entities whose interests need to be addressed rarely approach the approval process of a carwash in any way less than an adversarial manner. This is especially true in the instance of a re-zoning or a variance request. Investors who have been through the meetings of these interest groups have come to greatly appreciate properties where carwashes are already a permitted use. Here are the groups that need to be considered. If a carwash is being proposed near a residential area, and it is not a retail or commercial area, it is really important to find out early on what the feeling is going to be from the nearby population. If you meet with people one-on-one in a friendly manner and show them what an attractive concept you are proposing, it can really stop a lot of resistance from forming. The primary concerns are usually traffic problems that might be created by the carwash, noise levels, hours of operation, water usage, the appearance and cleanliness of the carwash property and the quality level of the people who work at the carwash. Depending on the municipality’s size, the Planning Department usually consists of several employees tasked with making recommendations to the Planning Commission. They will guide you in preparing proper documentation. The Planning Department employees’ primary focus is compliance with regulations. In addition to the site plan, the Planning Department may request site elevations, a preliminary landscaping plan, site lighting plans, a summary of materials, color renderings, environmental impact studies and traffic studies. Once all requirements are met, you will be given a date to appear before the Planning Commission for a public hearing. Your public hearing with the Planning Commission provides members of the community an opportunity to learn more about your intentions. At the public hearing, the community can voice any concerns about your proposal before the commission votes to recommend (or not recommend) your project to the board. You will be asked to post a sign on the property announcing the meeting. It is also common to advertise the meeting in the local paper. You should have your site plan, and it would be very important to bring an architectural rendering of the project to be able to demonstrate that your new building or planned additions to an existing wash will be both attractive and an asset to the community. The Planning Commission’s focus is threefold. First, is this project in compliance with regulations? Second, does this project fit the Planning Commission’s view of what should happen with this property? Third, what does the public think of this project? Once past the Planning Commission, you will then be scheduled to appear before the municipality’s board for final approval. Approval from the Municipality Board simply means you can build a carwash on the proposed lot. This is not a guarantee that it will be easy. If a board is against the construction of a carwash, permitting can be exceedingly difficult and costly in terms of fees and time delays. At this stage, you will be assessed impact fees and begin the process of applying for your permit. Unfortunately, building a carwash is often greeted by the public with all the enthusiasm of building an adult video store. The first reason for this lack of enthusiasm is the low image that the carwash industry has attached to it in most areas. Although this image is improving, it still exists and has two aspects to it: the physical image of the carwash, building and property and the image of the carwash employees. In some markets, this image of a carwash can be so poor that people in the neighborhood surrounding a wash site are concerned about their property values going down as well as their personal safety being affected due to an undesirable group of people being brought into their area as carwash employees. Although these concerns are often not stated and there is no actual evidence of carwashes generating losses in property values or increases in crime, when the topic of carwash image is discussed, these are the issues that exist under the surface. To counteract the issue of physical image, an artist rendering is needed that illustrates an attractive building with nicely landscaped grounds. To counteract the employee perception, it’s helpful to focus on the professionalism of the management; the uniform and appearance policies that will be enforced; and the recruiting process, reviewing the fact that the carwash will be supplying employment to some of the people in the area. Once the image issue is addressed, there are several technical concerns that will almost always come up. After image, the second biggest concern is traffic. The worry here is that traffic into and out of the carwash on busy days could back up onto the street and create a potential traffic hazard. This is why the site layout will be critical for any hopes for approval. The third biggest issue is noise from the vacuums and the blowers that might be heard by the neighbors. This issue is particularly serious if the site is next to a residential area. The issue of noise leads us to the fourth biggest issue, which is hours of operation. Most communities aren’t concerned about when a carwash opens up in the morning for business. Increasingly, however, there is an issue about when a carwash closes. Ideally, self-serves and in-bay automatics are 24-hour facilities. Most exterior conveyors would want to have the ability to operate until 9 p.m. Some communities try to restrict the hours to closing at 6 p.m. or 7 p.m. This issue usually goes back to the previous one of noise. If a neighborhood can be convinced that noise is not a factor, then usually it’ll permit the later hours. In fact, vacuums today can be whisper quiet. The sound of the drying system at the exit end of a carwash can be greatly reduced with sound-reducing material located inside the tunnel that absorbs the noise. The fifth area that is starting to emerge with more frequency and that I believe will continue to grow in the future is the issue of having a reclaim system for the water. In every case of building a carwash, it is recommended to have a reclaim system with the tanks installed, whether or not it is required. The future is that reclaim systems will become mandatory everywhere. A few years ago in the state of Maryland when there was a drought, the governor shut down every carwash in the state until further notice. After frantic and intense lobbying by the local carwash association, four days later, carwashes were allowed to open if they had reclaim systems at their facilities. As you might imagine, the sales of reclaim systems were off the charts for the next few months. In the process of obtaining a variance or special permit, these are the main issues that are likely to come up, and the important point to be aware of here is that you must have the answers for these issues prepared before they arise. Otherwise, the appearance is that you are trying to mollify the municipality’s concerns and that the project has not been thought through completely. This is an issue of credibility. If the officials who you are dealing with do not believe that you are going to do what you say you are going to do, sometimes you can be denied permission based on this perception. Meet one-on-one with local officials. With each one of them, you would briefly explain your plan, obtain feedback from them and review the next steps in the process. Determine what the level of public acceptance will be for your project. You find this out by meeting with representatives from a neighborhood association; the head of any local retail business group that adjoins your property; and specific neighbors, both commercial and residential, who abut your property. 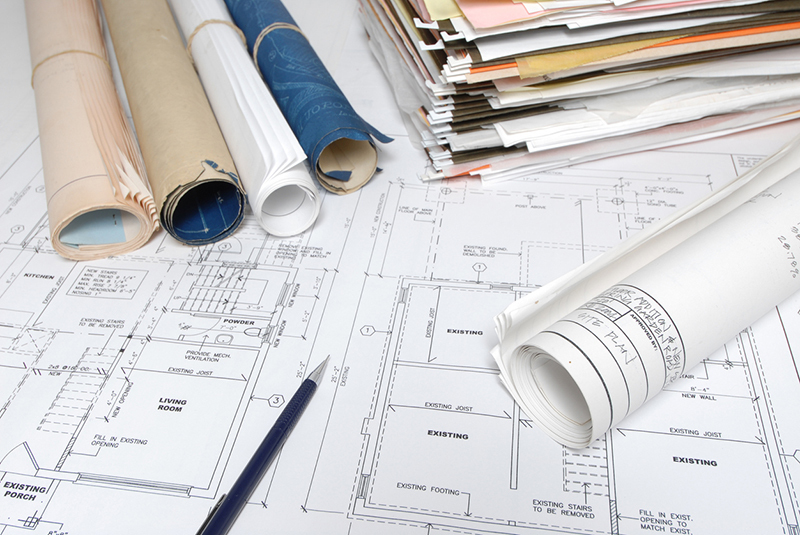 Present a site plan with as much detail as possible to the Planning Department. They will want to review the site plan in advance of any meeting. Meet with the department heads of the local government bodies from whom you will have to obtain permission to build your project. This meeting is usually an informal one, and hopefully all of the different departments can be represented to give their comments. Sometimes you have to meet separately with each department. Also, there can be a two-step process where there is an informal meeting first and a formal meeting on the record later. The ideal process would be to have an informal meeting before any kind of a public meeting. The purpose of these meetings with the internal staff of the municipal offices is to provide you with every area that they would like to see changed on your plans before submitting them for final approval. Your purpose is to respond to all of their comments, agreeing with those changes that you consider feasible and handling in a positive way those comments that require changes that might undermine your project. Obtain staff recommendations for project approval from the various entities involved. If you cannot obtain approval from the staff, it will be extremely difficult when a public hearing occurs for an approval to be obtained. 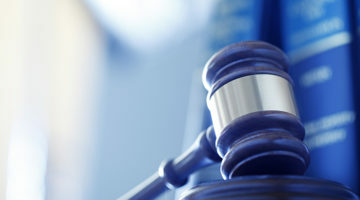 This step involves a public hearing, and sometimes, with staff recommendations for approval in place, only one hearing is needed to obtain an approval. This is rarely the case, however. What normally happens is that there are one or two public hearings before the Planning Board. Then, there are one or more hearings before a Municipality Board where the public is also invited. The public hearings before the Municipality Board are more of a political process than one of reviewing the details of the plan. It is important to try and determine in advance of the public hearing what the votes are going to be. The seventh step is actually obtaining written approval for the project. Once this is accomplished, the permit process begins. Although the actual permit process does not begin when you are conducting a site evaluation, the regulations regarding these permits must be reviewed to determine if there are any roadblocks to obtaining the permits needed and what the costs are going to be of these permits, tap fees, connect fees, etc. 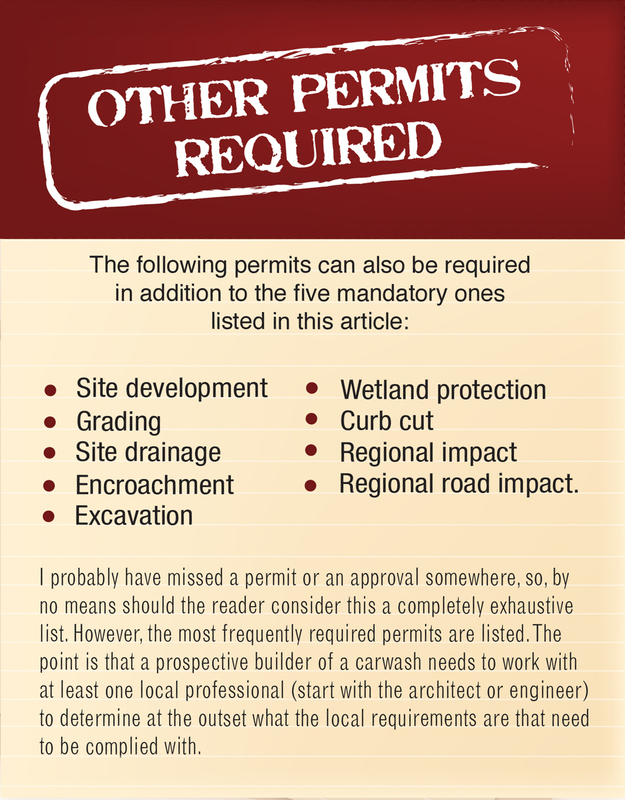 The following is a list of the permits that are almost always required. Once you review the list, I think you’ll understand better why you need the help of some local professionals, as outlined in this article. Building permit: This permit is the major one needed and will require, ultimately, sign-off by the Building Department Inspector, Fire Chief and whoever is in charge of traffic (local Police Chief, County Highway Department or State Highway Department). Sewer or discharge permit: The local municipality and/or the local water authority are the usual bodies required for approval of this permit. Sometimes, if the site is near a state reservoir, the state can also be a part of the approval process. Sign permit: The local municipality will have a building inspector or, in some cases, another department that deals with signage give approval for this permit. Water service approval: The local municipality, water authority and fire department can all be involved in deciding if there is a sufficient water supply, as well as proper piping and connections, for your carwash. Occupancy permit: To occupy your building, the local municipality has to sign off, attesting that all of the aforementioned permits have been obtained and that the building is suitable for occupancy and operation. A temporary occupancy permit is sometimes issued with a very tight time frame (usually 30 days or less), during which everything must be brought up to compliance. 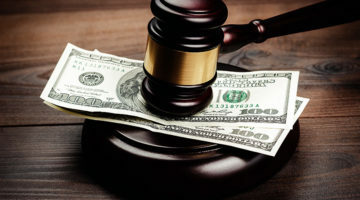 In the course of a due diligence process regarding these permits, approvals and the fees required to obtain them, it is important to determine what the ongoing costs will be in each area. For example, utility rates are critical. Also, there sometimes may be renewal fees associated with any of the above permits. Knowing these fees before building your carwash will help you in calculating your ongoing operational costs. 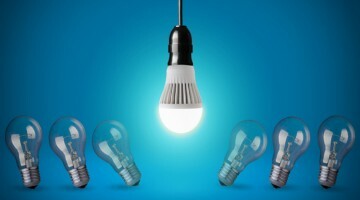 The processes listed in this article may seem tedious and time-consuming, but they are meant to help integrate your wash better into the community, and better communal reception from the onset will go a long way toward boosting your bottom line. Steve Gaudreau is president of Brink Results LLC. He is also a member of the Professional Carwashing & Detailing advisory board. This article includes excerpts from Gaudreau’s book, So, You Want To Own A Carwash: Finding and Evaluating Retail Site Locations for Carwashes. Gaudreau can be reached at www.brinkresults.com or [email protected].